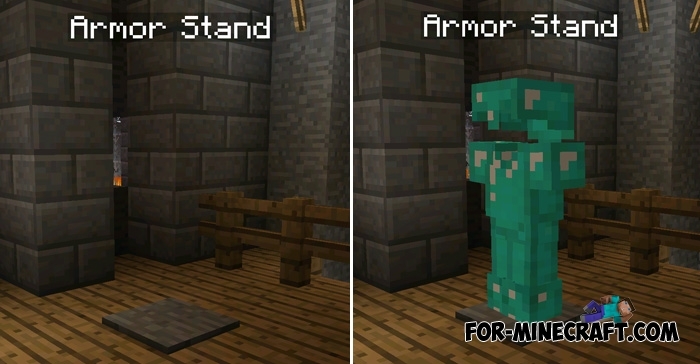 Most recently we published a special mod for your sword, with which you can keep your sword on a small stand. It is time for your armor. With Armor Stand mod you will be able to proudly place your armor set on the stand. Now, chests will have more slots for other items. The stand can be placed in any convenient place, as well as you can to craft them as much as necessary. In addition, the next version it is possible place the armor parts. For correct work you need to install the latest version of Block Launcher.